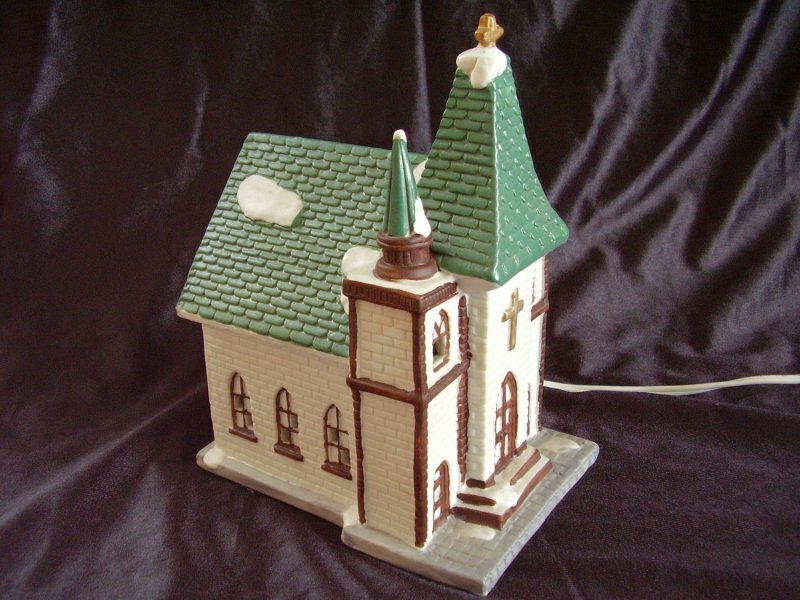 Dickens Collectables Christmas Village Church or Chapel. 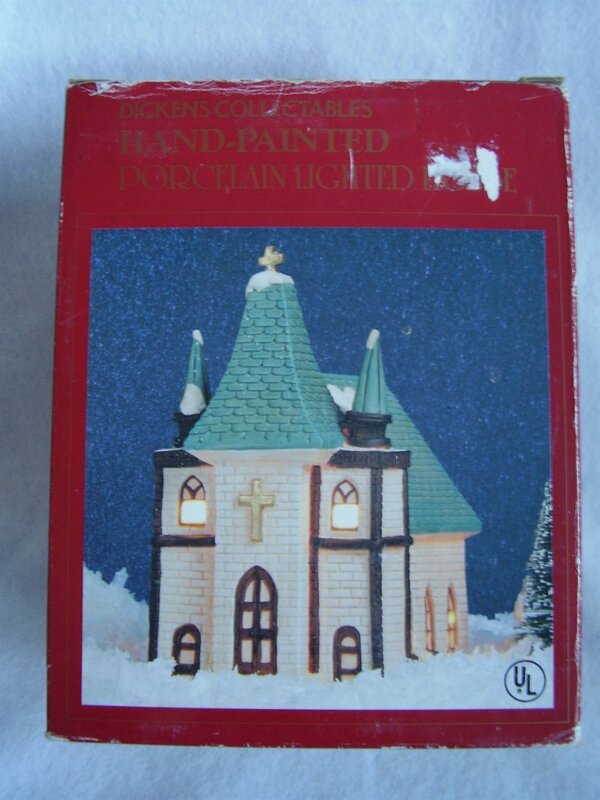 This hand painted porcelain church or chapel was a part of their Holiday Expressions line in 1992. In gently used condition with no noted cracks, chips, or scratches. 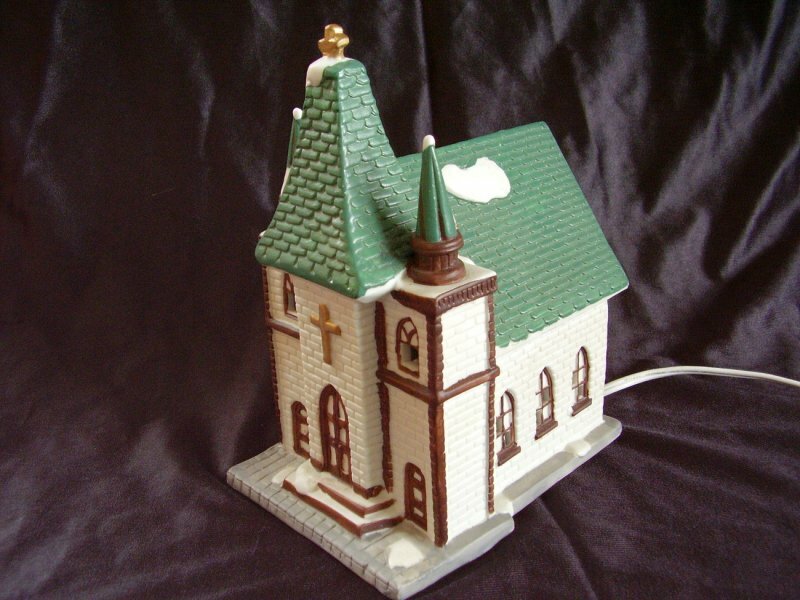 Dickens Collectables Christmas Village Church or Chapel. 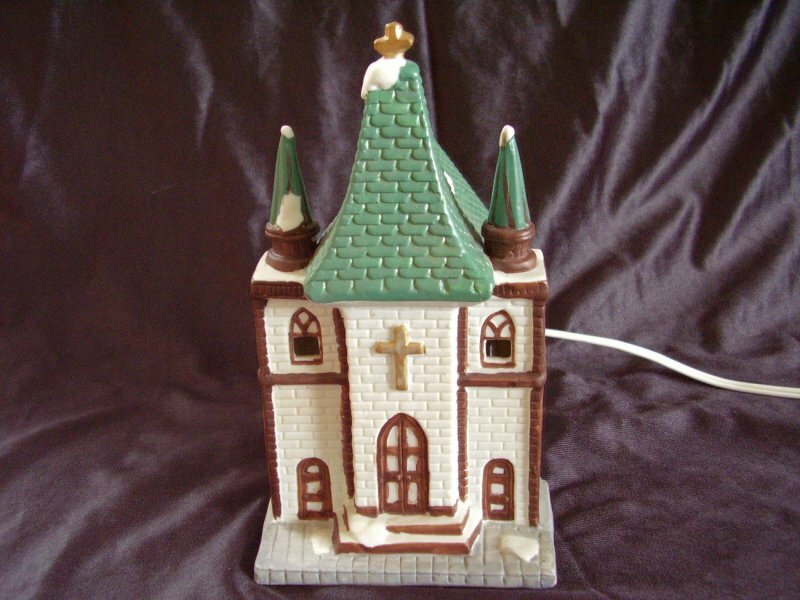 This hand painted porcelain church or chapel was a part of their Holiday Expressions line in 1992. In gently used condition with no noted cracks, chips, or scratches. Comes with a 6 foot light cord and light bulb, cord has on off switch. 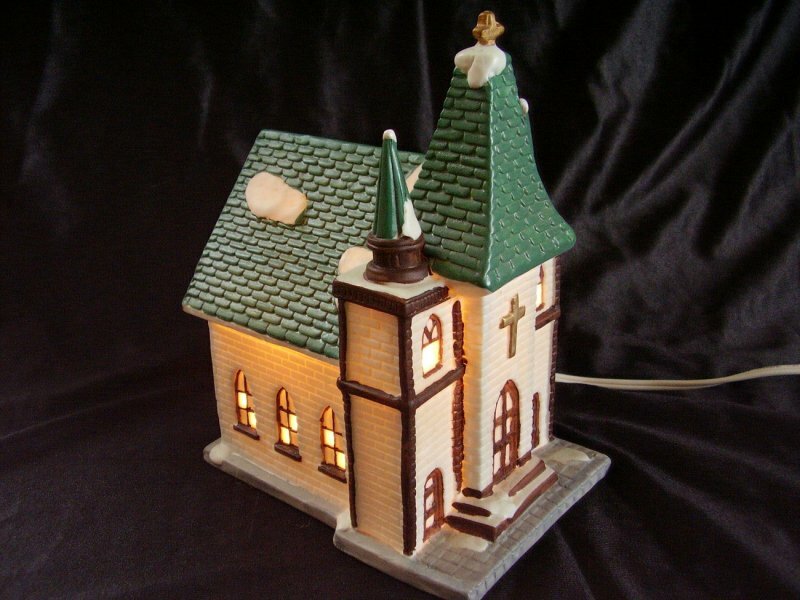 The church or chapel measures 7 1/2 inches tall x 4 1/2 inches wide x 6 inches deep. Comes with the original box that does show some wear.